Contact your professional and experienced San Jose, CA kitchen plumbing, faucet and sink experts at Genmor Plumbing, Inc. by calling (408) 933-9874 today. Click here and see what current online coupons and specials we have featured. Discover what other San Jose, CA homeowners have experienced with Genmor Plumbing, Inc. for their kitchen plumbing, faucet and sink services. What Kitchen Plumbing Services Are Available? At Genmor Plumbing, Inc., we offer a wide selection of kitchen plumbing services to help you with. If you require the repair of a pipe leak or burst in your kitchen, or perhaps some preventative maintenance for your existing kitchen plumbing, we can assist you. Also, if you are in need of a new kitchen faucet, a sink or garbage disposal, we’ve got you covered. With so many options to choose from in today’s world, it is very helpful to have a trusted and professional team available at Genmor Plumbing, Inc. to help with your kitchen plumbing decisions. Why Choose Professional Kitchen Plumbing Services? 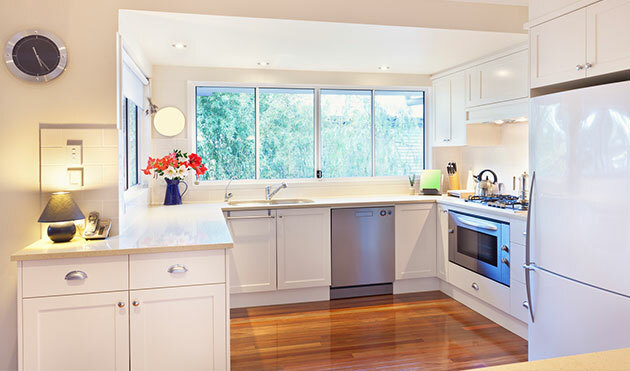 It is crucial for kitchen plumbing issues to be dealt with urgently. Kitchens are usually full of design elements that can be dramatically compromised in the event of a kitchen plumbing emergency. If a pipe burst occurs in the kitchen, it could cause severe damage in a very short amount of time. It is even better if kitchen plumbing is handled preemptively. Performing diagnostic or regular maintenance precautions, you are able to avoid many potential kitchen plumbing emergencies. While some people opt for the DIY kitchen makeover, it can be advantageous to work with your trusted kitchen plumbing, faucet and sink specialists when making any major change to your kitchen. An experienced and professional San Jose plumbing company like Genmor Plumbing, Inc. will have a complete understanding of the state of your kitchen. This is especially helpful when trying to install a replacement sink or faucet. Being able to choose the appropriate pieces that will work with the rest of your existing kitchen plumbing could prove more cost effective and less stressful. Call your expert kitchen plumbing, faucet and sink professional today at (408) 933-9874 and discover how we can best help achieve the kitchen you desire. We look forward to providing you with a free estimate. A Genmor Plumbing, Inc. kitchen plumbing, faucet or sink replacement is 100% satisfaction guaranteed.